A HUNDRED YEARS OF SOLITUDE: How will the "Armenian question" develop in the 21st century? This year the world community is preparing to mark the centenary of the First World War (1914-18), one of the bloodiest clashes between the leading empires which radically altered the geopolitical map and the socio-political structure of Eurasia. The bloodiest clashes in this war took place in Asia Minor, the Black Sea region and the South Caucasus, in the struggle for which the countries of Europe and Russia met head-on with Ottoman Turkey. One of the watchwords that Russia and the West used to base their intervention in the region was "to save Christianity". It would not be wrong to say that the "Armenian question" played quite an important role in the military-political games of the West and Russia against Ottoman Turkey and the Muslim population of Asia Minor and the South Caucasus. During the 19th and the beginning of the 20th century the European empires and Russia generally made active use of the Armenian factor as an ideological tool to promote their own interests in these regions. To back up their claims these empires created and set in motion a hastily concocted story about ancient Armenian history, declaring its heirs to be the present-day Armenians led by the Armenian Church. On fairly dubious and anti-scientific theses a false conception was created that 1,000 - 2,000 years ago various state formations existed in Asia Minor which were wiped out, and "justice" should now be restored, turning history back a couple of thousand years. This thesis, which is absurd from the point of view of logic, was one of the reasons for the fierce clashes in Asia Minor and in the South Caucasus, as a result of which hundreds of thousands of innocent people were killed. The Armenian question was first projected at the end of the Russo-Turkish war (1877-78) in the Treaty of San Stefano of 1878, article 16 of which stated "the Sublime Porte engages to carry into effect the reforms in the provinces inhabited by the Armenians". During the San Stefano peace negotiations the Russian delegation first insisted that "the sultan engages before the Russian Czar to create an autonomous administrative administration in the Armenian-populated provinces of Erzurum, Mus, Van, Sebast, Diyarbakir, etc" and "the Sultan provides a real guarantee of the introduction of these reforms" (1). However, Ottoman Turkey refused to undertake similar commitments towards Tsarist Russia. At the same time, as Rollen-Zhekmen, one of the ideologues of the Dashnak movement, a professor of international law from France, noted: "the honour and merit of this treaty lies in the fact that it was the first to include Armenia in an international treaty" (2). With regard to this article the Russian ambassador in Istanbul, Count Ignatyev, wrote the following to Prince Gorchakov: "Article 16. The general public in Armenia is gratified by this article. For the first time the name of Armenia has been enunciated in an international treaty…Because the Turkish authorities stubbornly and fervently turned against the proposed reference to the Catholicos of Echmiadzin and his being named the supreme head of all Armenians, the Russian authorities deemed it more prudent not to make reference to this. Indeed, the imparting of too much international significance to this Catholicos could have created certain difficulties for us in the Caucasus and would even have supported the desires and aspirations between the Armenians, which would not be in our interests" (3). Territory of the mythical "Great Armenia"
Later attempts to extract maximum dividends from the "Armenian question" occurred in the First World War (1914-18), which eventually buried the European and Russian monarchies that had dreamed of recreating the "Christian kingdoms of the East". And in place of the fallen Ottoman Empire in Asia Minor was created the Turkish Republic and three countries - the Georgian, Azerbaijani and Armenian Republics - emerged in neighbouring Caucasus. From then on the "Armenian question" gradually began to lose its relevance in international politics because time proved that this subject had not been a huge success for Europe and Russia. Despite the many attempts to revive it, this did not bring the required dividends, and then in the middle of the 20th century the West put forward a new ideological concept - "the genocide of the Armenians in 1915 in Ottoman Turkey", which they used to try to put "mild" political pressure on the Turkish Republic. This concept was seized enthusiastically by the world Armenian community which began to freely expend its resources on politicians and all kinds of people in Europe and America who were prepared to promote this subject. In other words, "revenge for the genocide", as part of which hundreds of terrorist acts were committed by Armenian terrorist organizations in the 1970s and 1980s in Europe, America, the Middle East and Turkey itself against Turkish politicians, citizens and officials, was thrown in to replace the "recreation of the ancient Armenian kingdom". At the same time, demands were made on the Turkish authorities to recognize the "genocide" of the Armenians, to pay huge amounts in compensation and also to agree to Armenia's territorial claims on Turkey. 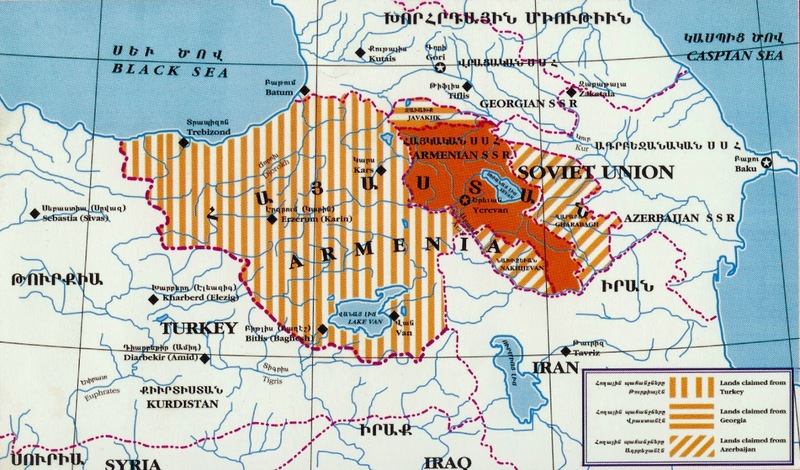 After Turkey joined NATO in 1952, the West, realizing that it could no longer support the Armenians' territorial claims against a NATO ally, concocted a new lever in the form of the "genocide" of the Armenians. At first the USSR took a dim view of this new "idea" of the West, describing it as the "latest machinations of the imperialists". But after Turkey began to retreat from the Kemalist socialist orientation in its policy, the Kremlin also decided to use the "genocide" of the Armenians as a factor of pressure on Turkey, which was now a part of NATO. With the permission of the Soviet authorities, a memorial complex to the victims of the "genocide" was erected in Yerevan (in 1965-67), and it was agreed to mark 24 April with rallies and marches, where nationalistic anti-Turkish slogans were voiced. Party and state structures and the historians were instructed to re-write the Armenian doctrine and to name Turkey as the main enemy of the Armenian people. However, the notion of the "genocide of the Armenians" did not bring its creators and executors any particular dividends because Turkey had already entered a phase of consistent military-political and socio-economic development, which in the 21st century has turned it into a serious geopolitical player in the international arena. It was after this that the West realized that the tattered Armenian card was not only not beneficial but was causing increasing harm to the interests of Europe and America in the Asia Minor and South Caucasus region. As regards the South Caucasus, and especially Azerbaijan, it may be noted that here, too, the "Armenian question" has lost its relevance for the western powers and Russia. During the 19th-20th centuries the Armenian factor was used to suppress and destroy the Azerbaijani and Turkish population of our region. At the end of the 20th century - during the time of the collapse of the USSR and Azerbaijan achieving its independence - the Armenian nationalist card was again used against our country as a means of igniting the Armenia-Azerbaijan conflict over Nagornyy Karabakh. 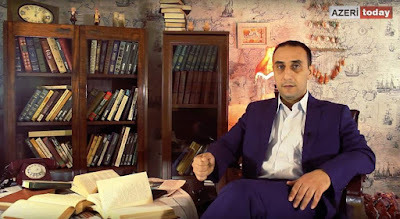 Among the secret objectives of this conflict were the maximum weakening of independent Azerbaijan, and also taking total control over all its resources, foreign policy and vectors of development. But the Nagornyy Karabakh conflict proved no obstacle to Azerbaijan's progressive development. Today, Azerbaijan is playing an ever increasing role in the geopolitics, energy transit and capital investment not only of the South Caucasus, but also the neighbouring regions, including Eastern Europe. In actual fact, it is this lack of a settlement to the Nagornyy Karabakh conflict that has given a powerful impetus for Azerbaijan's assertive foreign policy. 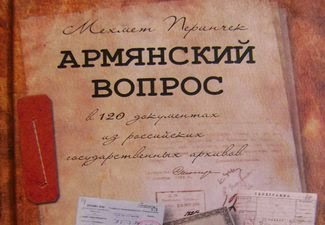 In other words, Armenia's occupation of and territorial claims towards Azerbaijan are not bringing the expected dividends to the world powers, and besides, it is Armenia itself that has suffered most from this situation and has now found itself on the brink of collapse and a socio-economic crisis, from which no-one in the world will be able to rescue it. In point of fact it is at this stage in history that the Armenian card has been used up, because it has brought no practical benefit to the western powers and Russia in Turkey and Azerbaijan. On the contrary, it is those countries that take Azerbaijan's and Turkey's interests into account that are reaping the profits and the benefits. Today Ankara and Baku stand on the threshold not only of economic and energy-transit but also military-political cooperation, which will give a new level of stability to the South Caucasus region and in the short term will enable our countries to become a new logistics centre of trade and energy transit from Japan and China and to the countries of Western Europe.